With jargon-busting instructions and photos showing each step, our award-winning sewing patterns, dressmaking workshops and bestselling books (Love at First Stitch and Stretch!) help you create beautiful clothes that you’ll be proud to say you made yourself... even if you're a new stitcher. I started this blog nine years ago as a way to share my passion for making clothes and connect with other people who enjoy sewing. I love nothing more than taking a flat piece of fabric, cutting it out and stitching it together to create a unique, made-to-measure garment that I dreamed up in my head. Over the years the blog evolved, and my knowledge of sewing and pattern making grew as I hoovered up knowledge from blogs, training at the London College of Fashion, and lots of trial and error! The idea for my business gradually blossomed as friends, blog readers and random strangers kept telling me the same story – that they would love to make their own clothes too, but that they found the technical jargon, diagrams and conventions of traditional sewing resources confusing, intimidating and ultimately off-putting. 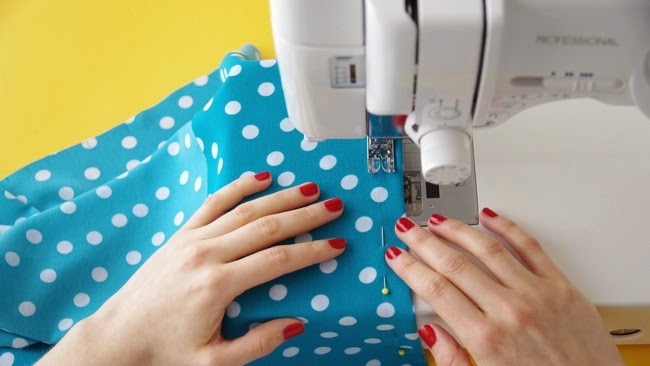 They had a good point – sewing patterns tend to assume you already know what you’re doing, which just isn’t the case for my generation and younger who never learnt to sew. So, blending my passion for dressmaking with over a decade's professional experience in arts education and designing training courses, I set out to rethink sewing patterns for modern makers - for people who want to make clothes for themselves, at home, and have a joyful time doing it! Our patterns include lots of helpful features to help you have a fun and fulfilling experience sewing up your dream wardrobe. In 2013 I quit the day job to focus on Tilly and the Buttons full time and started growing a lovely team. You can find our award-winning sewing patterns in our online shop, as well as in lots of lovely shops around the world – from Paris to Australia to Liberty of London and John Lewis. My first book for beginner dressmakers, Love at First Stitch, was a Sunday Times bestseller, won 'Best Book' in the British Sewing Awards 2014, and has been published in nine languages. My new book Stretch! Make Yourself Comfortable Sewing with Knit Fabrics was published in March 2018 and was named 'Best Book' in the British Sewing Awards 2018. I’ve been featured in the likes of The Guardian and The New York Times, have sewn on telly as a contestant in BBC2’s The Great British Sewing Bee, and was named 'Favourite Sewing Personality' in the British Sewing Awards three years in a row. I've given talks on blogging and business for the likes of the Fashion and Textile Museum, CHSI Stitches, Folksy, Blogtacular, Enterprise Nation and the Clore Leadership Programme. I've taught sewing for Janome, and been awarded the HRH British Made bursary for the School for Creative Startups from the Duke of York. I hope you’ll enjoy reading the blog, sewing with our patterns and taking my workshops. 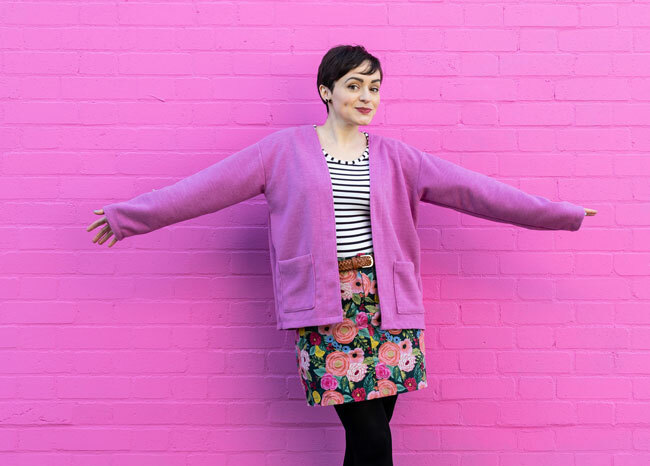 We'd love to see what you make - share a pic with us @TillyButtons on Instagram. I can’t wait to see!